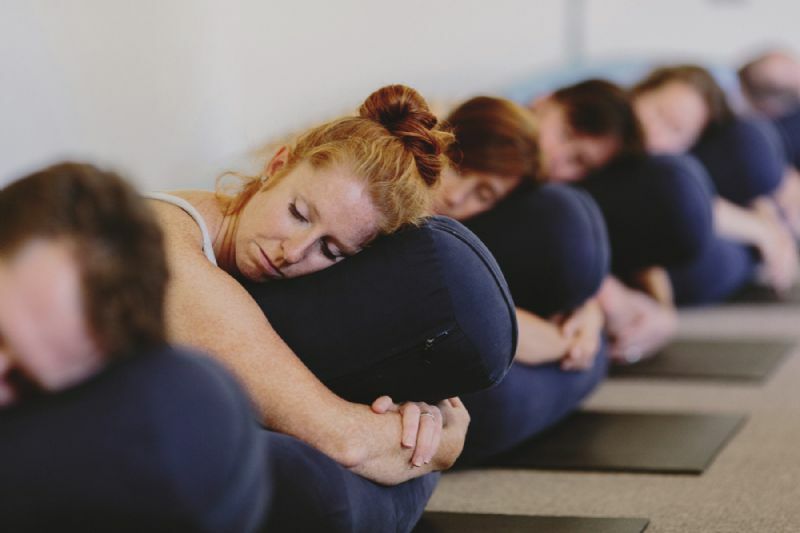 In this workshop you will utilize various props - belts, blocks, bolsters, eye - bags etc to facilitate the centering of your breath and body - aligning the physical and mental by practicing stillness or gentle movement for extended periods of time. The props assist in helping you to hold poses longer but also allow you to release muscles in a supported way. Sharon has been teaching therpeutic yoga classes since 2010 as well as one - to - one sessions tailored for individulas. She trained with Judith Hanson Lasater, who is widely regarded as an expert in the field of restorative yoga and then furthered her studies with Dr Roger Cole, an internationally recognized Iyengar yoga teacher and scientist who runs `sleep clinics` in the U.S and specializes in the science of relaxation and restorative yoga and he also writes for the Anatomy Column of Yoga Journal. THIS WORKSHOP IS FULLY BOOKED. IF YOU WOULD LIKE TO ADD YOUR NAME TO OUR WAITING LIST PLEASE E MAIL US AND WE WILL LET YOU KNOW IF A PLACE BECOMES AVAILABLE.